Looking for private in-home or in-studio Clarinet lessons? Our Jackson Heights teachers are ready to get you started. Find your teacher today! Check out some of our most popular teachers near Jackson Heights, NY including New York, Brooklyn, Bronx, Jersey City and Astoria. I have taught students from the age of four to sixty in all levels of flute, piccolo, alto and tenor saxophone as well as beginner clarinet. For the younger students I have also used to recorder to teach notes and to build confidence. My goal is to make the learning fun as that turns practicing into fun time not work. First lesson went very well, daughter understood everything she explained .. looking forward to continue with her.. The lesson went great. My son was very happy. Lauren is a sweet young lady who I could see right away works well with kids. 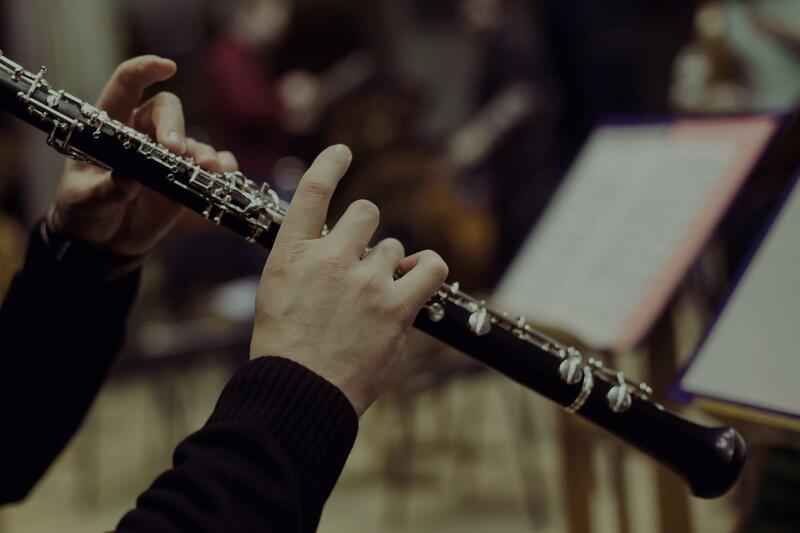 Students will learn how to properly learn and play the clarinet from the absolute basics to a high, intermediate level and beyond in various styles. Beginners: The basics of embouchure, technical skills, proper breathing techniques, ability to read music. Intermediate: Playing intermediate level solo pieces, refining technique, extending range, learning how to play music by ear and performing in various styles, from classical to jazz. I have over 10 years of experience on the Clarinet and other reed instruments. I am a senior undergraduate BA Music Education major at the Aaron Copland School of Music at Queens College and have studied classical clarinet as well as saxophone under various professors at the college. I also have experience in teaching NYSSMA solos, intermediate/advanced techniques on the saxophone and clarinet, and have run and directed my own orchestra and jazz band during my time in college. I have a reputation for achieving whatever goals I set my sights on musically, from performing to composing and conducting. festivals for middle school and high school students, as well as performing in them while still in the public school system. I personally believe practicing should be fun, and have devised multiple strategies for success to kick-start one's drive for peak performance in music! Jorge was a great teacher, he started me off learning clarinet. Very kind, postitve and knew all of his stuff. Would definitely recommend as a teacher. Jorge tutored me for a few weeks in music theory and it greatly benefited me. He shows through his examples and explanations that he really understands concepts of music theory and keyboard, as well on his clarinet too. I highly recommend hiring Jorge since he goes over the information at a good pace and nice manor. He will go over whatever you need help on. Can't find a teacher in Jackson Heights, NY? "Matt's an immensely dedicated and thoughtful instructor. I've learned a great deal about the instrument and my playing has improved drastically." ed really well with our son who enjoyed his lessons very much -- and we enjoyed the few opportunities we had to see Tyler perform!" New York, NY teacher: Tyler B. "Excellent teacher and the lessons are a lot of fun." New York, NY teacher: Mark F.
hter found her first lesson to be very interesting and can’t wait for the next one." ed me the most is his exquisite approach to the music in different genres and epochs. He will help you to develop your skills and improve your understanding of the music." "Very good teacher. I really enjoyed the class." "Olivia is a great instructor with a fun personality! Her lessons are great!" "Jorge was a great teacher, he started me off learning clarinet. Very kind, postitve and knew all of his stuff. Would definitely recommend as a teacher." "Dedicated Teacher with patience. My experience has been overwhelmingly positive and effective."